Are you looking for an affordable auto repair shop you can trust for your Chevy vehicle? In San Diego, that’s Pacific Automotive. We’ve been providing repairs for over 20 years with guaranteed satisfaction. 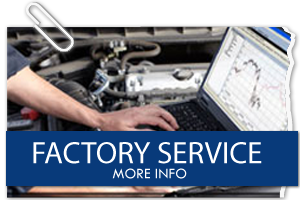 For newer vehicles we use OEM parts and our maintenance services will keep your warranty valid. Pacific Automotive will keep your older Chevy running at its best, and expertly handle all repairs, whether major or minor. We’re the dealership alternative, offering technical excellence at lower prices. 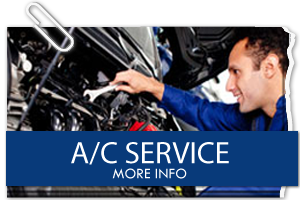 Plus, you and your vehicle will receive personalized attention. You’ll get to know your mechanic, and he will get to know you and most importantly your vehicle. We’re up to date on all Chevy factory information and know what to keep a lookout for. The fuel filter in all vehicles, regardless of make or model, can become clogged when debris from the bottom of the gas tank gets sucked in as you’re nearly out of fuel. This starves the engine, even after a fill-up, leading to poor performance and eventually a damaged fuel pump. 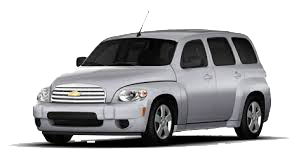 This is a frequent problem for 2002 through 2007 Chevrolet Trailblazers as their fuel gages are sometimes inaccurate. If you own one of these vehicles, don’t let the gas tank get too low. Everyone knows that the braking system can be a matter of life or death. Regular inspection should be performed at least twice a year, and the brake service schedule should be strictly followed. Any brake work should be performed by certified master mechanics, such as those at Pacific Auto. Chevy anti-lock braking sensors are known to fail a bit more often than on other autos; that’s just one of the things we’ll be checking. If your check engine light turns on, pay us a visit and we’ll check your car’s on-board computer codes and explain what we find. Don’t delay. The light might just mean it’s time for maintenance, but it could also be alerting you to an unsafe condition or something that if neglected could lead to expensive repairs. The auto computer is connected to an amazing number of sensors, and can spot problems in the ignition system, brakes, transmission, catalytic converter, and more. If there is a repair problem, we’ll bring in our other diagnostic equipment and expertise to make sure we fix the right problem the first time, and save you money. 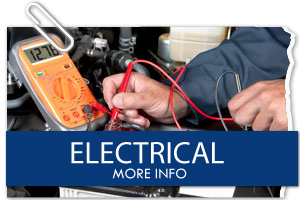 We’re experts in diagnostics and engine repair, including the ignition and electrical system. That was once pretty simple — battery, alternator, ignition coil, distributor, spark plugs. But now everything’s computerized and there’s numerous electrical and electronic accessories. Pacific Automotive is up to the challenge. Furthermore, we’re experienced all aspects of engines, including fuel pumps, and the cooling and emission control systems. Some Chevy vehicles have a problem with intake manifold gasket leaks, leading to overheating and poor performance. If that happens to be your problem, we know exactly what to look for and what to do. Modern automatic transmissions are complicated, combining mechanics, hydraulics, sensors, and computers. We’re up to date and ready to handle all that. Whenever you experience anything unusual as your vehicle shifts gears or if you notice a fluid leak, it’s time to pay us a visit. To avoid problems, our maintenance services include transmission inspections and fluid flushes. Beyond that we’re the San Diego transmission repair experts for Chevys, and can also install a rebuilt transmission if that’s the best solution for you. Often, the repair is simply replacing an electrical or electronic component, or replacing the transmission fluid filter or a valve. Our expertise and integrity can save you thousands of dollars. Manual transmissions are, of course simpler. But they do require maintenance and the occasional repair. You may also need a clutch repair, perhaps including flywheel resurfacing, or even a clutch replacement. As always, if you suspect a problem let Pacific’s master mechanics have a look. 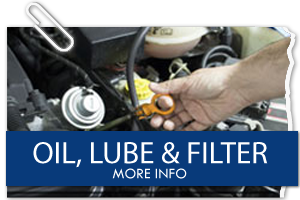 We hope you’ll consider us for your next oil change, filter change, and lube service. We’re affordable and will provide expert professional and personal service unlike what you’ll find at quick-stop chains. 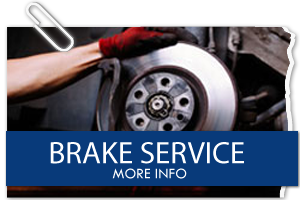 Pacific Automotive is also well qualified to handle all your scheduled maintenance needs, including brake service. We follow all factory requirements and use OEM parts, so your warranty will stay in place. You can count on us to do the job right and save you money. Plus you’ll appreciate our friendly and personalized service and the benefits of a mechanic who has come to know your vehicle. We’ve been in business for over 20 years, have the latest in diagnostic equipment, and employ ASME certified master mechanics. We keep track of factory updates, and your Chevy will be taken care of by a Chevrolet specialist using OEM parts, or aftermarket parts at your request. 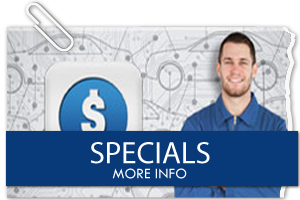 Don’t wait for a problem; regular scheduled maintenance saves you money in the long run. And don’t delay having a problem looked at or getting that check engine light investigated — your risking more expensive repairs and even your safety. Whether it’s an oil change, transmission repair, or anything in between, just give us a call and we’ll take care of it.